… in 3D, of course. the workflow is interesting. like most tasks this one can be solved in several ways. 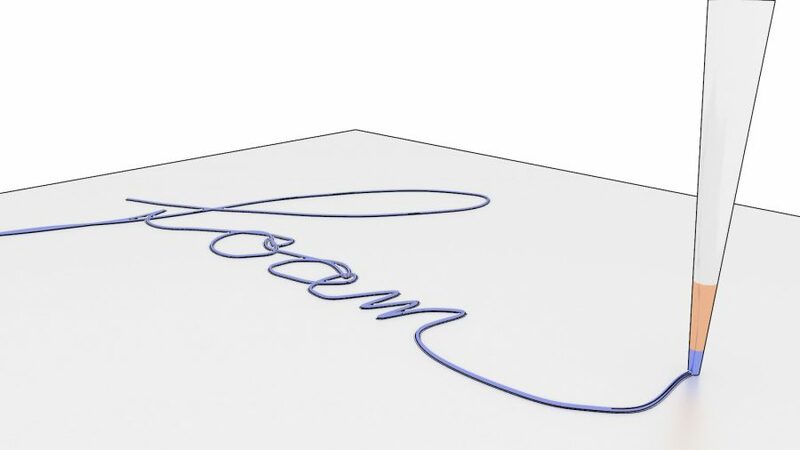 the client needs a hand written animation with the product or brand name. 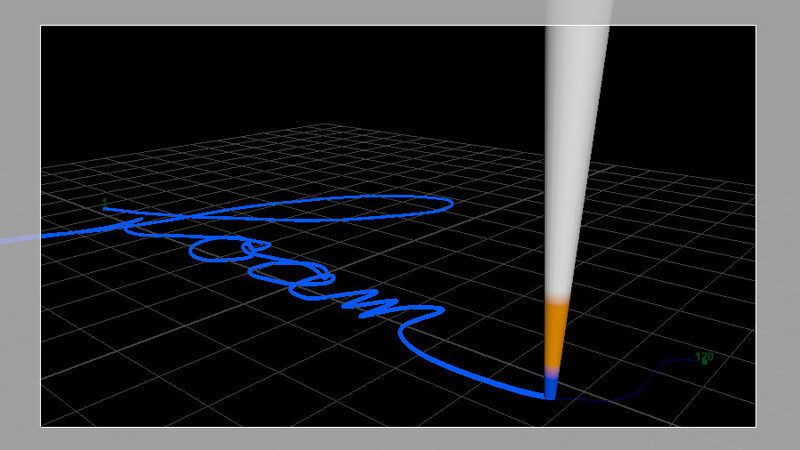 you can do it either with particles or liquid simulations or, much more pragmantic, using a NURBS curve, a pen attached to the curve with a motion path, and a paintFX ink or oil stroke synced to the pen movement. here’s a standard rendering, and below one with arnold toon shader.